As a consultant on innovation and technology for some of the world’s biggest multinationals, Morinosuke Kawaguchi knows how corporations are pressed for innovation, whether in biotechnology, civil engineering, the automotive or electronics industry or other areas. His view is that for innovation, in-depth knowledge is not necessarily the key, and that methodologies and processes to facilitate innovative thinking are not tied to a particular industry. As a result, his innovation model does not require students to be engineers, technology experts or product developers. It can be applied by amateurs, freshmen from university as well as MBA students and experienced business people. The Morinoske Innovation Model is configured to be a toolkit to “recalibrate” the approach to appealing products and services. It challenges product developers, engineers and decision-makers to change the viewpoint from which new products and services come into being. This opposition to the norm is the basis for the blue ocean opportunity so many companies are desperately looking for these days. In this sense, the Morinoske Innovation Model is both a framework and guideline to exhaust innovation’s potential. To the extent that innovative thinking and creativity can be structured and learned, the model offers a unique methodology to apply. Kawaguchi’s workshops are aimed at squeezing every single possibility out of creating new or upgrading existing products, services or business models. While a true genius does not need guidelines to come up with brilliant ideas, most of us have to try and be innovative through logic, structure or process. The aim of the Morinoske Innovation Model is to “format” how information is absorbed and processed within this framework and transformed into new ideas. In his workshops and lectures he points out that in companies so-called new ideas and problem-solving are most often born from established procedures that fit the corporate culture. But it is usually the non-conformist approach that holds the chance to differentiate from solutions the competitor would come up with. If you don’t dare to think of even the silliest solution to your challenge, you might miss the blue ocean, he advises. Within the Morinoske Innovation Model, the aspect of sustainability plays a big role. In this respect Kawaguchi notes that true sustainability must not only answer to the pressure for greener, less wasteful and more efficient business logistics. This aspect has been and continues to be covered quite extensively. Instead, he stresses the importance of the mentality behind the wish for sustainability that has little to do with pressure for efficiency and more with what can be called “herbivore” thinking and values. According to Kawaguchi, it is the B2C level that needs to be taken into consideration with new kinds of products that cater to new emotional necessities and mentality-born demands. 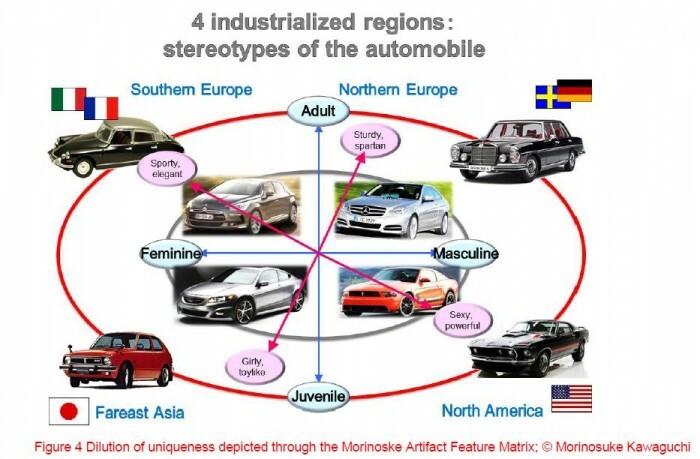 Some of the core elements of his concept are subculture-inspired innovation, emphasis on late stages in product and economic life cycles, separation between a product’s function and a product’s appeal, emphasis on customers’ hidden or luxurious weaknesses, challenging the 5C analysis, carnivore and herbivore application of technology and non-technologic functions aimed at bringing products closer to humans. 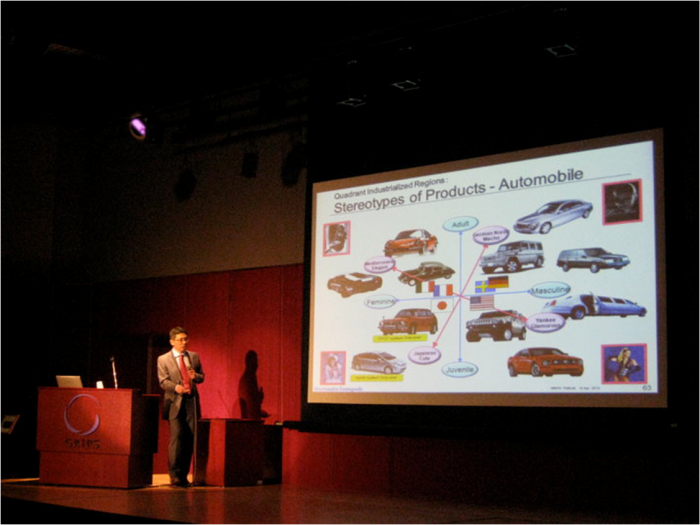 Besides using it in his consulting work, Kawaguchi lectures about his innovation model at universities, business schools, and conferences and holds company seminars. His references include Harvard University Graduate School of Design, World Innovation Forum Kuala Lumpur 2013, HULT International Business School, University of Arts London, IED Istituto Europeo di Design, EOI Spain’s School for Industrial Organization, Tokyo Institute of Technology, University of Tokyo, TEDxTokyo, Toyota, Hitachi, Nissan, Nikkei, Uniqlo, NEC, and many others. 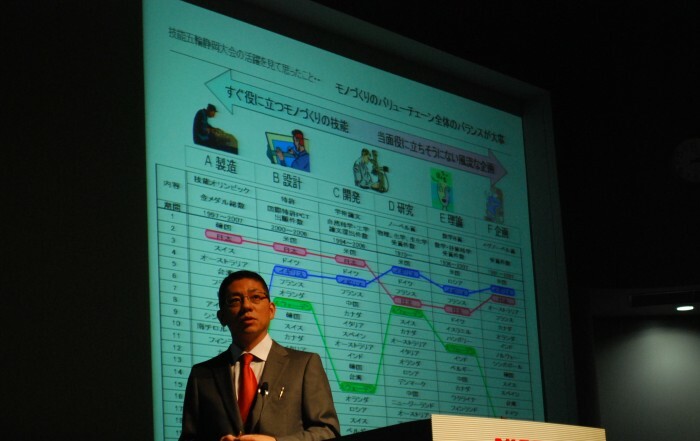 If you are interested in learning more about the Morinoske Innovation Model and how it might be of use to your organization, or if you would like to invite Morinosuke Kawaguchi as a speaker or lecturer, please get in touch via the Contact Form.